When I first started working in the beauty industry years ago, I became fascinated with deluxe mini products. 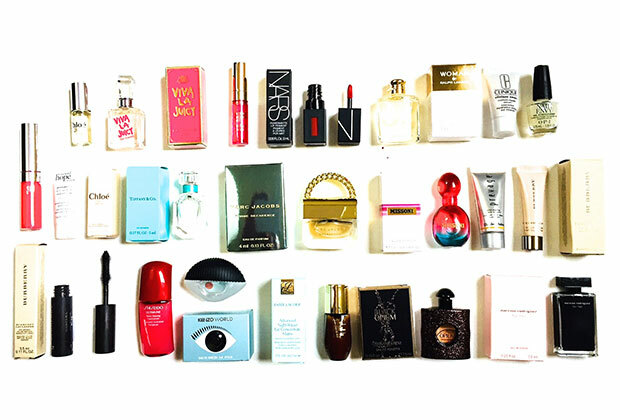 When a fragrance house or cosmetic company launches a major product, they often create miniature versions of that item. They are called ‘deluxe minis’ and are often used in gift sets, gift-with-purchase offers or used at special retail events. 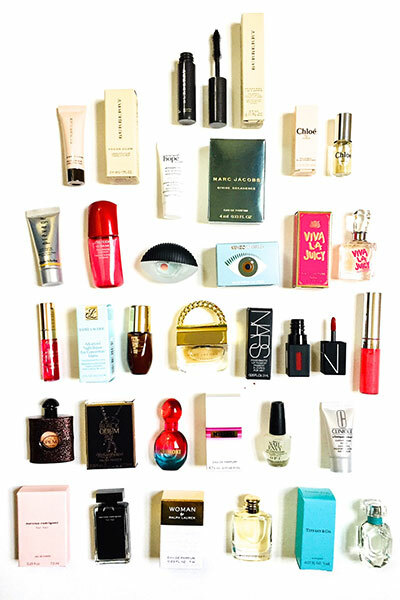 These can be miniature fragrance bottles, travel-sized serums or small versions of mascara or lipstick. I know of one brand who regularly will send out deluxe minis to top clients three weeks before a product officially launches on counter. It gets them excited and they usually will pre-order from the store. It’s not surprising to learn that there are loyal collectors of deluxe minis who will go to great lengths to acquire the most prestige items. I know of one former television producer who collected hundreds of mini fragrance bottles and would display them in special cases. They really do look cute when displayed in a group. I’m excited to have a collection of my favourite recent deluxe minis to give away. The Marc Jacobs Decadence mini in the shape of a tiny purse with gold chain is exquisite. As is the Tiffany bottle in the iconic blue box. And the NARS Powermatte lip colour is adorable. I thought this would excite beauty and fragrance fans. The Giveaway: I gave away this entire set of deluxe minis to one lucky reader. To enter, I asked readers to tell me in a blog post comment below which one is their favourite. Laurie H told us and we drew her name from all entries. Congrats Laurie!! Deluxe Minis!!! So cute and petite!! Absolutely love them!! I love the Marc Jacobs because of the cute little purse shape. Also Dior has cute minis, they are like mini replicas of the big bottles. I love Opium, I also love to collect vintage mini bottles…. Too hard to pick just one, love all minis! Perfect for switching it up! I can’t just pick one as my favorite lol it’s impossible to do i am a big collector of top name perfumes and makeup i have over 40 bottles of designer perfumes lol i can’t stop myself as soon as i see a commercial for a new designer perfume i get it just finished buying Gucci. Bloom and it’s amazing so i would be beyond happy to win this prize. I like the The Marc Jacobs Decadence mini. Never used any of these but the Black Opium looks beautiful! The NARS, for sure. Wowzer! Black Opium Please…. Nars please…. I love viva la juicy.